I’ve always been fascinated by Nelson Mandela and South Africa’s freedom struggle. So when I learned about the Nelson Mandela Route, which allows visitors to essentially “follow his steps” from the Eastern Cape to Robben Island, I modified my itinerary so I could partake in this drive. The Route starts in King William’s Town, which began as a London-based Missionary Station in 1826 and provides a backdrop to early European influences in a struggle region of British, Boer and Xhosa conflicts. The town’s Amathole Museum has a Xhosa Gallery, Missionary Museum and German Settlers display. Anti-apartheid activist Steve Biko is also buried there. 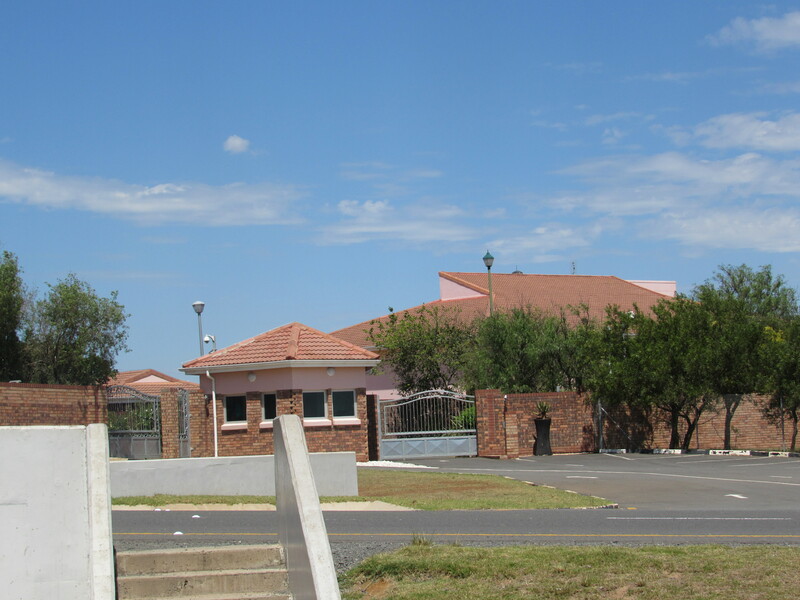 From King William’s Town, the route goes through Bhisho, the home of the provincial government, where it leads to the N2 and on to the Nelson Mandela Museum, which is spread across three locations in Mthatha, Qunu and Mveso. From there the Route goes to several sites in Johannesburg, before ending at Robben Island in Cape Town. But the highlight for me was the actual tour. 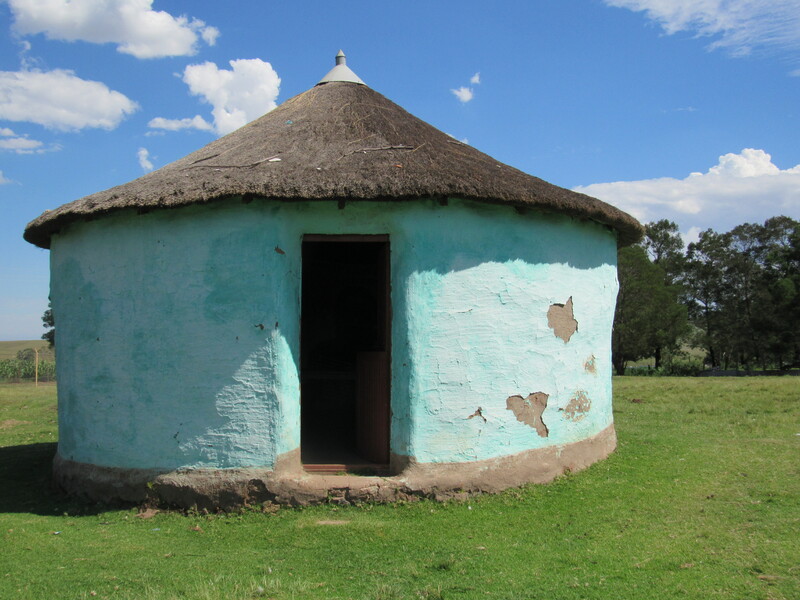 We drove in my vehicle, starting off in the village of Qunu, where Mandela was raised. We saw the remains of his primary school, the large rock where he used to slide as a kid, the family graveyard where his son, daughter and parents are buried, and his most recent home, which is the largest and most modern one in town. He’s buried on the grounds, which are gated/fenced and closed to the public. We couldn’t get close, but he showed me the general vicinity from afar. Next, we headed to Mveso, where Mandela was born. 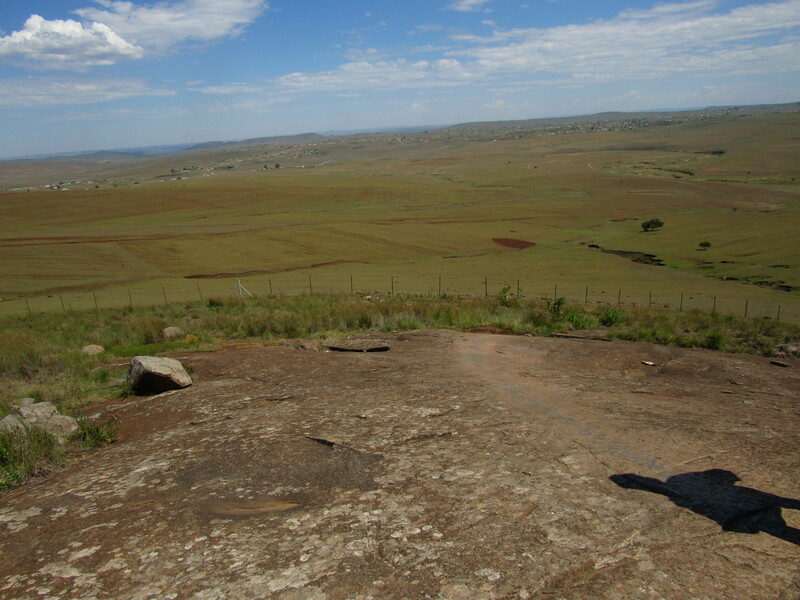 We saw the site of his childhood home and the land where his family grazed cattle. 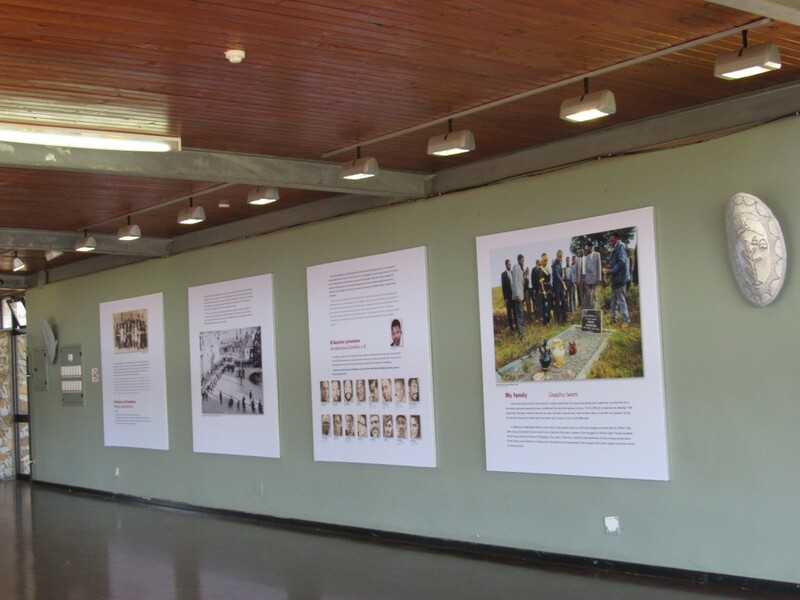 There’s also a thatched open-air museum with photo exhibits depicting significant moments in Mandela’s life. 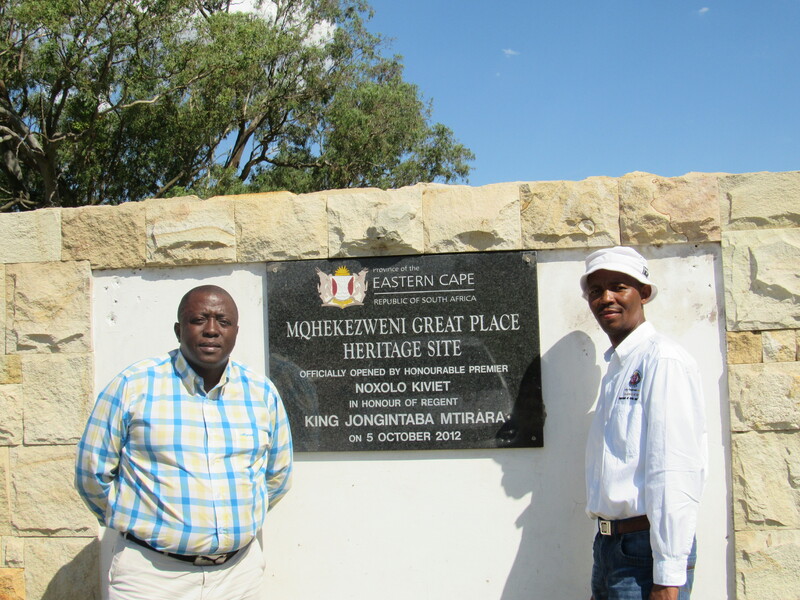 From there, we headed to the Great Palace at Mqhekezweni, where Mandela went to live at age nine after his father died. “Great” is in the eye of the beholder, because the site itself hardly conforms to the common image of a palace (it’s small, ruggedly inaccessible and difficult to reach by car). 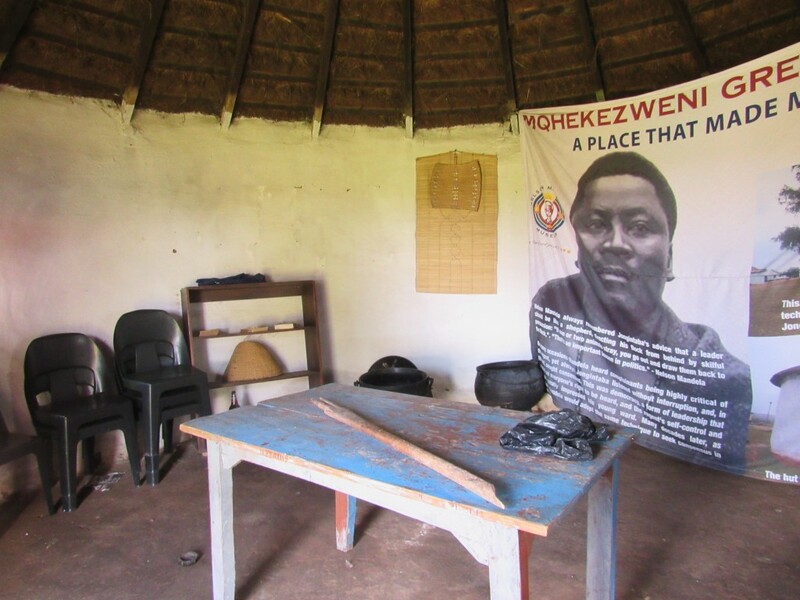 But, it was here that Mandela was molded into the man who would become South Africa’s most famous revolutionary and freedom fighter, so in that sense it is a great place. 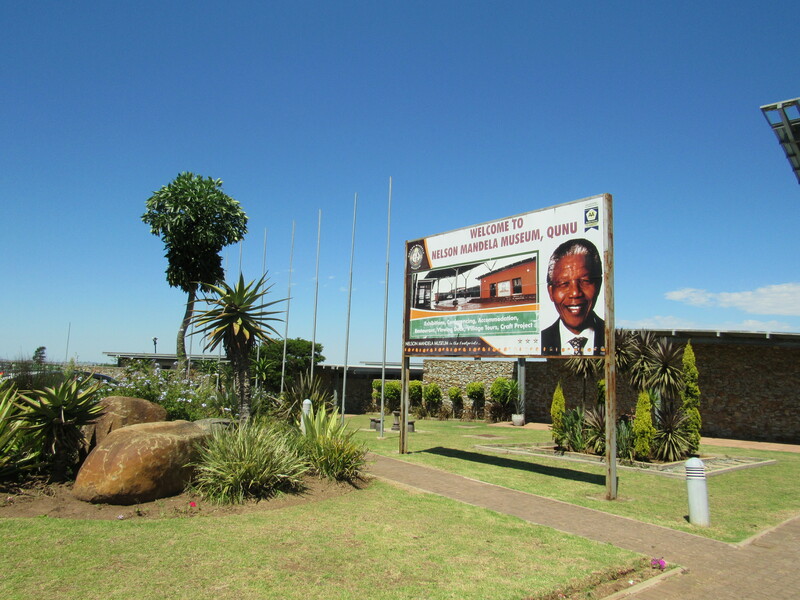 And I was awestruck to be there, as Mandela speaks highly of his formative years there in Long Walk to Freedom. 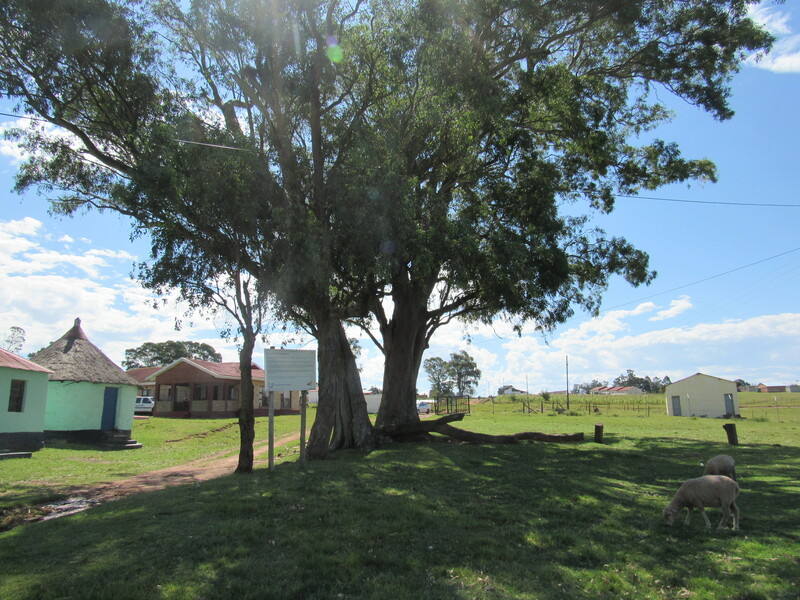 I saw the large tree where Mandela’s father figure, Regent King Jongintaba Dalindyebo , held tribal meetings. It still stands strong and majestic, just as he described. I went inside the rondavel where Mandela lived with his cousin Justice. And I saw the church where Mandela was baptized. I was guided around the palace grounds by Jongintaba’s grandson, who jokingly told me I should move there and find a royal husband. My tour ended there about five hours after it started and I took the long, bumpy road back to the N2 and on to my next stop – Cape Town via the Wild Coast and Garden Route.